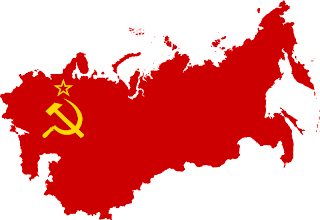 The Union of Soviet Socialist Republics (USSR) was a socialist state on the Eurasian continent that existed between 1922 and 1991, governed as a single-party state by the Communist Party with Moscow as its capital (Roseberry,1997). During the period of its existence, the Union of Soviet Socialist Republics was by area the world’s largest country. It was also one of the most diverse, with more than 100 distinct nationalities living within its borders (Dewdney, 2014). Politically the USSR was divided in to 15 union republics. The Union Republics of the Soviet Union were ethnically based administrative units that were subordinated directly to the Government of the Soviet Union (Hough, 1997). The accurate statistics of the psychological ailments such as PTSD that existed within the Soviet Society are still not known. The term PTSD or Traumatic Neurosis were not profusely used by the Soviet researchers. To denote psycho trauma the terms such as “Dushevnaya Bolezen” Stresavaya Situatsia , Pshicheskaya Rastroisthva were often used. However by the end of the Soviet era the Russian clinicians assertively used the term Posttrumaticheskaya Stresovaya Rastroistva (PTSD) to diagnose anxiety based traumatic stress using DSM or ICD -10 classifications. According to the Diagnostic and Statistical Manual of Mental Disorders (DSM-4) Posttraumatic Stress Disorder (PTSD) is an anxiety disorder that can develop after an individual has experienced or witnessed a major trauma. DSM-IV-TR Criteria for Posttraumatic Stress Disorder highlights that the person has been exposed to a traumatic event in which both of the following were present: (1) The person experienced, witnessed, or was confronted with an event or events that involved actual or threatened death or serious injury, or a threat to the physical integrity of self or others (2) The person’s response involved intense fear, helplessness, or horror. The traumatic event is persistently re-experienced by the victim and he / she is persistently avoiding the stimuli associated with the trauma. In addition the victims have numbing of general responsiveness. It has been argued that post-traumatic stress disorder (PTSD) is a timeless condition, which existed before it was codified in modern diagnostic classifications but was described by different names such as ‘railway spine’ and ‘shellshock (Jones et al., 2003). PTSD is predominantly a Western culture-bound disorder. The Western culture regards PTSD as an individual disorder with unique symptoms. Some experts view PTSD as a culture specific entity. Cross-cultural applicability of the posttraumatic stress disorder (PTSD) category is still under debate. Hinton & Lewis-Fernández (2011) indicate that although substantial evidence of the cross-cultural validity of PTSD was found. However, evidence of cross-cultural variability in certain areas suggests the need for further research. Ethno -cultural studies of PTSD offer an opportunity to identify the universal and the culture-specific aspects of the PTSD experience by comparing ethnocultural group differences in the distribution, expression, and treat ment of PTSD (Marsella et al., 1992). According to Young (1997) PTSD is not a timeless or universal phenomenon, nor is it a discovery. Rather, it is a cultural product. PTSD cannot be separated from the routines, technologies, and patterns of thinking through which it is encountered. However trauma is a near universal experience and the Soviet society too impacted it in great proportions. The Soviet society faced rapid changes within short periods. From the mid-nineteenth century, Russia as a nation-state struggled to reform, collapsed, re-constituted itself in a bloody civil war, metastasized into a violent “totalitarian” regime, reformed and stagnated under “mature socialism” and then embraced capitalism and “managed democracy” at the end of the twentieth century. These upheavals had indelible effects on policing and the administration of justice, and on psychiatry's relationship with them (Healey, 2014). Russian life and the people are full of paradoxes and contradictions that are not easily understood by the Western mind (O'Neil, 1993).Karyani (2014) hypothesizes that in collective societies such as in the former Soviet Union strong cultural and social buffers created against ailments like PTSD. Therefore in manmade or natural disasters populations were less affected. Brooke (2014) states that the role of community is crucial in understanding the PTSD and societies with strong local communities with strong cultural identity the incidence of PTSD is rare. No culture is immune to psychological trauma and each culture has different ways of interpreting as well as reacting to psycho-trauma. Culture has an immeasurable impact on trauma that can range from differences in interpretations of traumatic events to symptoms of disordered behavior to societal norms about interventions (Baldachin, 2010). The Soviet people encountered multiple traumatic events that created a collective trauma among its population. However it is reasonable to believe that the Soviet people had some protective mechanisms against psycho trauma which may have acquired through historical experiences (desensitization) and living in a collective culture dedicated to a common social constructive course. According to O'Neil (1993) some individuals in the Soviet Union “living in the double" meaning that there were two distinct personalities within the same person that could be activated depending on the situation. One personality conformed to the politically correct Socialist principles and another one reflected his/her own personal viewpoints. A number of contacts admitted that this dual personality was very common and a product of the Soviet state's continuous monitoring of individuals. This separation of personalities or "double life" was being discussed openly and had diminished somewhat after the Coup d' etat of August 1991. The disbanding of the KGB and the Communist Party gave the people some confidence that they could be individuals without fear of harassment. Yet, this double life has been operating for many decades and raises special clinical questions about Russian interpersonal relations and conflicts. Formation of two distinct personalities within the same person sometimes acts as a buffer against psycho trauma. The PTSD symptoms that the Soviets experienced were not hundred percent matching as the PTSD symptoms that are seen in the Western World. The Soviet PTSD sufferers used to internalize their symptoms and often these symptoms were manifested as vague psychosomatic reactions. They presented with emotional numbing, social isolation, and fear of authoritative figures, deep suspicion, and sense of foreshortened future, heavy alcohol / tobacco addiction, poor social attachments and somatization. The stress related physical symptoms frequently manifested as gastric ulcers. The PTSD affected populations often used the term Yazva (gastric and duodenal ulcers) connecting their physical symptoms. Suicide and self harm were common among the Soviet people who were affected by PTSD. The suicide rate in the former Soviet Union rose from 17.1 per 100,000 inhabitants in 1965 to 29.6 in 1984 (Värnik et al., 1992). The Soviet Authorities concealed the actual figures of suicides. As indicated by Wasserman, and Värnik (2007) reliability of statistics on violent death and suicide in the former USSR was often questioned. In some Soviet republics suicides were under reported. Addictions were widespread. PTSD victims used to drink Vodka / homemade illicit liquor (Samagon) in large quantities. Some used toxic substances (household cleaning chemicals) as substance of abuse. Family break ups, child abuses recorded in large proportions. But all these maladies were not addressed appropriately and frequently kept in secret. The young generation who were tormented by social and economic cataclysm later became the members of the underworld gangs or became the supporters of the neo Nazi groups in Russia. Like in most other countries the Russian history was written in blood. For generations the Russian people faced ample amount of traumatic events that were beyond the range of the normal human experience. In Russia, before the 18th century, the people demonstrating psychological disorders were housed in religious communities. Under Peter the Great, the State began to regulate the lives of people with physical and mental disabilities, particularly in connection with military service. Under Catherine II, the construction of asylums for the insane started but families preferred to take care of their loved ones themselves. The structure of support constituted by the community was however eroded in the 19th century by settlement in cities. It is in this context that psychiatry emerged in the 18th and 19th centuries. Russian psychiatry’s path to legitimacy was closely linked to service to the State, while in the United States; psychiatry was oriented toward the patient as an individual and found it hard to adjust to the conditions of war. (Kozlowski, 2013). The Czar’s Russia was full of economic and social upheavals. War, famine and internal conflicts impacted people dreadfully. The Czar Ivan the Terrible (1530-1584) ruled the country with an unstable mind. His alcohol addiction, deep suspicion, anger outbursts, emotional anesthesia and paranoia affected his rational judgment. During the reign of Ivan the Terrible people were subjected to incarceration, torture and death. Peter the Great (Peter Alekseyevich Romanov) was one of the great leaders of Russia who ruled the Russian Empire from 1682 until 1725. Peter the Great, often known as the Tsar Reformer, initiated a program of modernization and Westernization that affected the lives of all his subjects. He founded a new capital, St. Petersburg, which became a symbol of cultural change, and a navy, which signaled Russia’s emergence as a maritime power. He also reinforced the old institutions of serfdom and autocracy (Hughes, 2000). Peter took sturdy measures against rebels and conspirators while ruling his Empire. He was famous for his anger outbursts and sometimes executing prisoners by himself. The Emperor tortured many prisoners at the Peter and Paul Fortress in St. Petersburg. Peter’s own son Alexei Petrovich Romanov too became a victim under his repression. The political and diplomatic consequences of the 1877-8 Russo-Turkish War had significant effects on both the domestic politics of Russian and Ottoman Empires and on European diplomacy. Leaving its political outcomes aside, the war had a considerable impact on the civilian population of Balkan Peninsula. (Pinar Ore- Immediate Effects ofthe 1877-1878 Russo-Ottoman War on the Muslims of Bulgaria) The Soviet Historian V. I. Buganove reports series of combat related distressing reactions (acute stress reactions as well as dissociative aphonia) among some of the Russian soldiers during the 1681 Russo- Turkish War (Jayatunge, 2014). Napoleon Bonaparte invaded Russia in 1812. His Grand Army consisted of over 500,000 men. Napoleon's strategy was to engage the Russian army quickly and crush it. The Russian strategy, begun by Prince Barclay de Tolly and continued by Field Marshall Mikhail Kutuzov, was to avoid major conflict and to retreat in advance of Napoleon's army destroying crops and villages as the Russian army withdrew (Ahearn, 2005). The French invasion caused a significant number of human casualties. The 1812 War brought collective anxiety among the Russian people. In the Battle of Battle of Borodino – a single day battle the Grand Army lost approximately 35, 000 soldiers: 52,000 Russian troops perished in the battlefield. Many Russian novelists captured the collective traumas experienced by the citizens. Feodor Dostoevsky, Leo Tolstoy and Maxim Gorky extensively wrote about human suffering in their own society. Dostoevsky was involved in the revolutionary activities and was arrested by the Czar’s Police. He was subjected to mock execution and then later exiled to Siberia. In Siberia Dostoevsky witnessed unspeakable human anguish. These traumatic experiences caused colossal personality changes in him. He became a compulsive gambler and also suffered seizures (psychogenic fits following pathological dissociation?). Maxim Gorky witnessed immense poverty, injustice, hate and brutalization in the Czar’s Russian society. Gorky's novel “Mother” was a testimony that narrated the socio economic hardships experienced by the Russian working class. Leo Tolstoy served as an Officer during the Crimean War in 1853. He saw the horrors of the war and became emotionally troubled. These traumatic events transformed him. In the later years he publicly preached against wars. Tolstoy believed that spiritual clarity would help the Russian people to heal emotional wounds. In the Czar’s Russia ethnic clashes were occurring repeatedly. In addition massive violence had been conducted against the Jewish people. Anti-Jewish pogroms created collective traumas among the Russian Jewish population. In 1791, under Catherine the Great, Jews were largely restricted to the Pale of Settlement. The May Laws, enacted in 1882 under Alexander III, promoted further discrimination. Russia's anti-Semitic pogroms, sporadic during the 1800s, were particularly bloody under Nicholas II in 1903-1906, and were apparently directed against the Jews by the imperial authorities (Brustein, 2003). In 1905 Anti-Jewish Violence erupted in Odessa. The Jewish newspaper Voskhod reported that over 800 were killed and another several thousand were wounded following these events (Weinberg, 1992). The British and the French military psychologists profoundly studied the impact of combat related PTSD (Shell Shock) during the World War One. Although the Russian Army fought in the Great War facing dreadful conditions sustaining a large number of battle casualties with Shell Shock such efforts were not put into practice. However without the support of the Russian Military the Great Russian Psychologists Ivan Pavlov may have studied the impact of war on human psyche. The Russian Psychologist Vladimir Bekhterev conducted several studies on war trauma. He saw severe emotional problems among the Russian combatants who took part in 1904 -1905 Russo Japanese War. He identified lack of motivation, cognitive problems, hallucinations, dissociative reactions (which he called hysteria) and fear induced distressing behaviors among the Russian Soldiers who participated in the World War One. Vladimir Bekhterev served as a professor and director of the clinic for mental and nervous illnesses at the Military Medical Academy in St. Petersburg until his sudden and mysterious death in 1927. After his death, his name and works were deleted completely from the textbooks and scientific literature by Stalin’s orders (Lerner et al., 2005). During the World War Two the Russian Psychologist Alexander Romanovich Luria intensively studied the impacts of traumatic brain injuries. Between 1939-1945, Luria was in charge of a base neurosurgical hospital in the village of Kisegach in the South Urals, which enabled him to obtain an enormous collection of data that was later used in the development of the theory and practice of Russian neuropsychology (Kostyanaya, 2013). Indisputably Alexander Luria may have seen some of the PTSD reactions (known as the Combat Fatigue during the WW2 in the Western medical literature) of the Red Army soldiers. According to the Red Army WW2 records a large number of soldiers with combat stress reactions were punished for cowardice. A significant number of Russian soldiers faced death squads or sent to Shtrafnoi (penalty) Battalion units where they had to fight without ranks under the NKVD guards. Most of the combatants of the Shtrafnoi Battalions never returned home. Bolshevik ideology was going to affect the entire Soviet society including military psychiatry, which started to use its jargon. The words of the psychiatrist Osipov in 1934 are quoted by Wanke: "Above all, the mental faculties of the soldier of the Red Army, his political consciousness of a sustainable class will allow him to triumph over psychotic reactions". Even though in 1941 psychiatric departments appeared in hospitals, Stalin’s purges restricted the organisational development of the psychiatric system in Russia. It is in this context that the topic of individual trauma disappeared from public debate in the Soviet Union. Although the 1930s saw famine, purges, followed by the Great Patriotic War, during which the "panekers" or broadcasters of panic were shot, pain and emotions had no place in this new model of society; the return of the war left no room for anything else but the heroism of tales of war and patriotic songs the only authorized events. Personal weakness was banished. No opportunity whatsoever to complain about individual suffering, no victimization was possible(Kozlowski, 2013). From the WW1 to the Soviet Afghan War (1979- 1989) the Soviet Officials never published data about traumatic combat reactions that were experienced by the Soviet soldiers. Equally the officials did not provide any data related to the psychological casualties of the Stalinist repression. As indicated by Healey (2014) in Russia, physicians specializing in medicine of the mind had to cope with rapid and radical changes of legal and institutional forms, and sometimes, of the state itself. The abuses of Soviet psychiatry under Stalin and more intensively after his death in the 1960s–80s remain under-researched and key archives are still classified (Healey, 2014). Before the October Revolution in 1917 Russia was in a social and economic chaos. While the monarchy and the elite of the society had luxurious comfortable lives ordinary citizens had to face numerous hardships. Poverty and hunger impacted masses. People were unhappy and expected reforms. The revolutionists launched a number of strikes and protests against the regime. The Czar’s secret police (also known as the Okhrana) arrested a large number of suspects and many were tortured and exiled to Siberia. The revolutionists like Trotsky, Stalin and many others were in exile in Siberia and lived under harsh circumstances. Some committed suicide due to awful living conditions. There had been a number of strikes and protests against the government. All these protests were crushed by the authorities. The Bloody Sunday (Krovavoye Voskresenye) symbolizes the brutality of the Czar’s regime. On the 22nd of January 1905 the police opened fire at the peaceful demonstrators in St. Petersburg. According to Salisbury (1981) 1,000 killed or wounded, both from shots and trampled during the panic. A large number of women and children were among the casualties. This atrocious attack sparked the 1905 revolution that gave birth to the State Duma. During the World War One a large number of Russian soldiers underwent the agonizing conditions of the trench war. The Russian forces faced the enemy with a routed morale after the humiliating defeat in Russo-Japanese War in 1904–1905. The discipline in the Russian army was at stake. Some combatants openly protested against the military leadership. Psychologically traumatized combatants either committed suicide in the trenches or deserted the Army. The revolutionary forces of Russia especially the Bolsheviks were benefitted in this cluttered situation. The Bolsheviks were able to infiltrate the Russian armed forces and capitalized this unrest for their gain. A significant numbers of shell shocked soldiers deserted the Russian front and many joined with the Bolsheviks to overthrow the Czar’s Regime. These elements later involved in violence against the upper class after the October Revolution. Describing the social pandemonium just before the Russian Revolution- Dr Roger Markwick the Senior Lecturer in History at the University of New Castle Writes. ……….Total war was the catalyst for the Russian revolution. In 1914, the partially industrialised, semi‐feudal, multinational, autocratic state of Tsar Nicholas II was put to the ultimate test when it mobilised to confront the most developed industrial and military power in Europe: Germany. Russia was found wanting. Making up in manpower what it lacked in military hardware, by 1917 Russia had mobilised 15 million ‘peasants in uniform’, as the Bolshevik leader Lenin put it, 1.7 million of whom lay dead and 8 million wounded. While morale plummeted on the front line, resulting in revolt and desertions, the home front was increasingly ravaged by a tidal wave of refugees, inflation, and food shortages. The result by 1916 was strikes, peasant revolts, and increasingly restless national minorities, further undermining military morale and the increasingly discredited Tsarist monarchy. In his book “The History of the Russian Revolution “Vol One - The Overthrow of Tzarism - Chapter 13: The Army and the War (Translated by Max Eastman, 1932) Leon Trotsky describes the condition of the Russian soldiers thus. In the months preceding the revolution discipline in the army was already badly shaken. You can pick up plenty of officers’ complaints from those days: soldiers disrespectful to the command; their treatment of horses, of military property, even of weapons, indescribably bad; disorders in the military trains. It was not equally serious everywhere. But everywhere it was going in the same direction – toward ruin. To this was now added the shock of revolution. The uprising of the Petrograd garrison took place not only without officers, but against them. In the critical hours the command simply hid its head. Deputy-Octobrist Shidlovsky conversed on the 27th of February with the officers of the Preobrazhensky regiment obviously in order to feel out their attitude to the Duma – but found among these aristocrat-cavaliers a total ignorance of what was happening, perhaps a half-hypocritical ignorance, for they were all frightened monarchists. During the Great War the Russian military leaders dispatched untrained troops to fight well trained and well equipped German troops. By 1915 Russian Army lost more than 2 million men and lost Kurland, Lithuania and much of Belorussia. These indiscreet actions mounted severe combat stress among the Russian forces. …….units had been sent into battle without machine-guns; untrained soldiers had been ordered to engage in complex maneuvers using hand grenades and ended up throwing them without first pulling the pins. But the main reason for the fiasco was the simple reluctance of the soldiers to fight. Having advanced two miles, the front-line troops felt they had done their bit and refused to go any further, while those in the second line would not take their places. The advance thus broke down as the men began to run away. In one night alone the shock battalions of the Eleventh Army arrested 12,000 deserters near the town of Volochinsk. Many soldiers turned their guns against their commanding officers rather than fight against the enemy. The retreat degenerated into chaos as soldiers looted shops and stores, raped peasant girls and murdered Jews. The collapse of the offensive dealt a fatal blow to the Provisional Government and the personal authority of its leaders. Noticeably a large number of Russian soldiers were tormented by the war and may have ended up in posttraumatic reactions. The British and the French Armies had the authentic numbers of the shell shocked soldiers of the World War one. Professor Joanna Bourke (2000) estimates that by the end of World War One the British Army had dealt with 80,000 cases of shell shock. But the Russian army never had such meticulous records about the combatants except for a few case studies. In 1917 the Russian provincial (transitional) government was taken over by the Bolshevik party led by Vladimir Lenin. ….In the very end of 1916 Russia was thrilled by the assassination of Rasputin, and this event may be considered, in a way, as the closing episode of the pre-revolutionary period and the prelude to the revolution..... .........The famous socialist leader returned to Russia shortly after the revolution after many years of exile only to find himself out of sympathy with the general trend of the revolutionary development. An ardent advocate of national unity and of a vigorous prosecution of the war, Plekhanov led an attack against the Bolsheviks and later also against the Provisional government for its weakness and indecision. It was a pathetic attempt to conjure the elements by an appeal to reason. The military leaders of the period, who at first expressed their readiness to co-operate with the new government, very soon became estranged from it because of a profound disagreement over the question of the discipline in the army. Their attitude toward the government, as expressed in their memoirs, is consequently highly critical, and their treatment of the events of the period is usually rather one-sided (Karpovich, 1930). The Red Guards stormed the Winter Palace. They arrested the Czar Nicholas II and his family. Unprecedented terror was launched against the members of the Russian aristocrats and the Russian upper middle class. Mainly the atrocities were committed by the ex combatants and revolutionary guards. Many people fled the country leaving their property behind. The social fabric was crumbled creating an anxiety provoking atmosphere among the general public. On the 20th of December 1917 the state security organization Cheka was established under Felix Dzerzhinsky. The Cheka conducted torture and thousands of summary executions. They labeled their victims as counter-revolutionaries, kulaks, spies and saboteurs. Some historians suggest that the Cheka eliminated over 200,000 people. Alexander Solzhenitsyn described numerous torture methods that were adopted by the Cheka. One of the ill famous methods (as described by Solzhenitsyn) was forcing the victims to eat a large amount of salted fish and depriving them from drinking water. In his book “A People's Tragedy: The Russian Revolution: 1891-1924” the prominent British historian and writer Orlando Figes explains copious torture methods used by the Cheka officials. Shortly after the October Revolution in 1918 war between the Red guards and the White guards (Counter Revolutionary) was broke out. The conflict lasted until 1921. The Red and White fractions unleashed enormous brutality and cruelty on each other. The towns were burnt and villagers were left to starve. The peasants were forcibly recruited and set to the war fronts. The children became orphaned. The villages were deserted due to the conflict and hundreds of thousands became internally displaced. After the October coup d'etat, Bolshevik authority rapidly spread throughout the country. The new regime, however, was able to hold the peripheries of the Russian Empire only temporarily and had to fight against a variety of local governments. In the South, in 19I7-I8, at least a dozen such governments resisted Soviet power, each representing different, often contradictory, social interests and regional or national aspirations. 'The Volunteer Army of General Alekseev' was by no means the most important or legitimate alternative to the Soviets in the South, nor was it regarded as such. At the same time, this Army, as the only anti-Bolshevik centre in the South, had clear all-national goals and claimed to be the only heir to legitimate all-Russian authority. With this perspective, it insisted on the continuation of the war with Germany as a task equally important to the fight against the Bolsheviks. It also opposed not only separatism, but even regional particularism in the South. With the passing of time, the movement became more rigid in this respect, increasingly alienating the Cossacks, who composed the majority of the Army. Furthermore, the Volunteer Army rejected any definite 'pre-determination' of the social, economic and political order of a future Russia. This meant that the movement could neither deliver the peace and land that the people (narod) wanted, nor unequivocally guarantee the democracy and freedom that the educated society (obshchestvo) desired. An equally important negative element was the Army's behaviour on the White-controlled territory. Although the re-establishment of law and order was high in Denikin’s priorities, the Army frequently brought even more lawlessness and disorder to an already fragmented society. It was often argued by the Whites themselves, and still is by some historians, that these factors severely handicapped anti-Bolshevik propaganda work and offered excellent material for Red agitation. This opinion seems to overlook the analogous difficulties which con fronted Bolshevik propaganda. War Communism, as an ideology, did not possess popular appeal; since it included mass terror and requisitions, it quickly antagonized the population within its reach (Lazarski, 1992). Sean Guillory describes the hidden pain and agony of the young Komsomol (members of the Soviet youth organization) members who took part in the Russian civil war. Komsomol literature in the 1920s repeatedly evoked the memory of the civil war as a means to inspire young communists to sacrifice themselves for the construction of socialism........................Experiencing violence was central to the darker side of the Komsomol civil war veteran. As Joshua Sanborn has noted, performing violence was necessary for inclusion in the nation, but the promotion of brutality was a slippery slope, for destructive violence tended to outstrip its productive virtue. Indeed, as Sanborn shows, the omnipresence of violence during World War I and the civil war. Komsomol civil war memoirs display ambivalence toward the civil war. This contrasts with our broader understanding of the war’s memory as a heroic period in which communists sacrificed themselves wholeheartedly for the revolution. Alongside a narrative that framed the war as a “heroic epoch,” veterans voiced confusion, personal loss, hardship, physical suffering, and fear in the face of death. It is precisely because of these elements that Komsomol civil war narratives can be seen as part of the important phenomenon of war remembrance at the turn of the century. These narratives, like many of their European counterparts, are ultimately personal stories that attempt to come to terms with the personal transformations that war brought upon young soldiers and to render the strangeness of these experiences understandable to both the readers and the soldiers themselves. Nikolay Ostrovsky, the author of the well-known novel “How the Steel Was Tempered” participated in the Russian Civil War as a young Komsomol. He was 15 years of old and never had any military training. In autumn 1920 Ostrovsky was seriously wounded in the back, and then demobilized from the Red Guards. These wounds made him lifelong physical and psychological consequences. In the later years he was blind and paralyzed. Ostrovsky died in 1936 aged 32. In the Russian civil war, nearly 10 million people were perished. A considerable numbers died due to starvation and disease. The Civil War was a cataclysm in astronomical proportions to the people. At the end of the Civil War despite all the negative psycho social consequences Trotsky wrote: in the unstable poise of a scale only a small weight is enough to decide. That small weight was probably the Party. In the night between the 16th and 17th of July 1918 the family of Russia's last Emperor, Nicolas II, was killed in Ekaterinburg (Shenkman, 2013). The killing of Romanovs denotes the vicious nature of the social upheavals in the post revolutionary Russia. The executioners shot the Romanov family with extreme prejudice and they even killed the pet dog of young Alexei the Crown Prince. Following the abdication of Tsar Nicholas II, he and his wife, Alexandra, and their five children were eventually exiled to the city of Yekaterinburg. The family, along with four loyal members of their staff, was held captive by members of the Ural Soviet. According to historical reports, in the early morning hours of July 17, 1918 the entire family along with four loyal members of their staff was executed by a firing squad (Coble, 2009). The killing squad was led by two men named Yakov Yurovsky and Medvedev-Kudrin. Yakov Yurovsky claimed that he personally fired the bullet that killed the Czar Nicholas the II (Shenkman, 2013). In 1920 a British officer interviewed Yakov Yurovsky in Moscow. He reported that Yurovsky was remorseful over the killings of Romanovs. In the later years Yakov Yurovsky went in to seclusion. In his final days he wrote an appeal to Stalin when his daughter was arrested by the Stalin’s secret police. He pleaded Stalin to release her describing his dedication to the October Revolution. Distressed with loads of ruminations Yakov Yurovsky died of peptic ulcer in 1938. After the October Revolution and the rise of the Bolsheviks, the economic policy of War Communism lasted from the middle of 1918 when the Civil War broke out, until it was replaced by the New Economic Policy (NEP) in 1921. War Communism involved forced requisition of grain and output, and after the currency collapsed, it also involved a commitment to a non monetary economy. Acemogluy, et al., 2010). Following these economic transformations and other reasons a devastating famine descended on Russia in 1921. More than 25 million people were threatened by starvation and hunger-related diseases. The famine was centered in and beyond the Volga River valley and also in southern Ukraine. The best estimates of the death toll from the Great Famine of 1921 run from 5 million to 10 million people (Patenaude, 2007). As reported by Haller (2003) after the killing fields of the First World War, the political upheavals in Russia and elsewhere, and the rampant spread of disease among exhausted communities came the threat of food shortages that put an estimated 32 million lives at risk in Russia, Ukraine and Georgia. In 1921, on top of the political chaos that caused the breakdown of whatever health services existed, the region experienced a devastating drought, leading to a generalized famine. In October of 1921, Volga refugees brought typhus and cholera to Ukraine, and in the next month the whole country was swept by epidemics. The epidemics continued, on and off, throughout the whole period of the famine. Although no complete statistics are available on deaths from diseases the epidemic cases were recorded by the hundreds of thousands and that their mortality rate was very high. The prime victims of the famine and the epidemics were children. They also were the main targets for kidnappings and cannibalism. A million children had been orphaned by wars and the famine, and they had to fend for themselves as best they could since neither the state nor state-controlled charitable organizations could care for them in any significant way. These children known as "bezprytulni," continued to pose serious social problems during the 1920s (Serbyn, 1988). William Z. Foster – a radical American labor organizer and Marxist politician witnessed the 1921 famine. He wrote: Anyone who lived in Russia at that critical period could not help but see the pinch of hunger and general poverty on all sides. Indeed, he was bound to feel it himself. I knew it from first hand information. Although a visitor to the country and living on the so-called “diplomatic ration,” which was far superior to what the average Russian got, yet I found it inadequate enough, as I lost no less than 25 pounds in weight. Much worse, of course, was the fate of the masses in Russia at that time. All were thin, haggard, and worn out. Diseases made ravages on all sides. No one was getting sufficient food. To be fat or even “well kept” was prima facie evidence that one was cheating and getting more than one’s, share of the famine rations. The workers lived on a diet that would terrify Americans or west Europeans. They were lucky indeed if they got regularly one-half to one pound of black bread daily. Many times I visited them in factories and watched them eat their horrible fare. Stalin’s Forced Collectivization caused enormous burden to the public. Stalin used iron measures to full fill his motive disregarding the human cost. The stat media demonized the farmers who refused to sell their grain to the Government for low prices or refused to join the collective farms. A large number of farmers were arrested and shot in public. The novel, Virgin Soil Upturned by Mikhail Sholokhov portrays collectivization in the Soviet countryside as a relatively simple process. In his story, Davidov a Soviet in charge of enforcing collectivization is sent to Gremyachy. Upon his arrival, Davidov finds that the town is led by three communists. Improbably, Davidov was able to solve the collective problems as well as collectivize Gremyachy in one meeting (Russian Collectivization -George Beers). Stalin deported or killed nearly five million peasants labeled as kulaks. Their equipment and livestock sent to collective farms. Many of the remaining peasants were forced into collective farms to work where they faced disease, starvation, and death. The effects of Stalin's collectivization resulted in mass disruption of agricultural productivity and incalculable human losses. Collectivization lasted from 1928 until 1938, a decade of complete failure. Collectivization did not lead to agricultural production but rather to a famine that killed millions and the terror unnecessarily imposed on the Kulaks. Stalin's Five-Year Plan for collectivization failed in a number of ways. Millions of people died of starvation, disease and repression. (Russian Collectivization -George Beers). The British novelist Arthur Kaestler visited the Ukrainian city of Kharkiv during the Famine. He revealed his horrendous experience in 1949 book The God That Failed. He wrote: "I saw the ravages of the famine of 1932-1933 in the Ukraine: hordes of families in rags begging at the railway stations, the women lifting up to the compartment window their starving brats, which, with drumstick limbs, big cadaverous heads and puffed bellies, looked like embryos out of alcohol bottles ..."
Stark (2010) indicate that the Holodomor in Ukraine in 1932-33 is a sinister example of an artificial and undoubtedly intentional induction of famine through unfavorable government decisions. It illustrates that not only political economy and Stalinist government policy in the form of collectivization but indeed the intentional faminogenic behavior of Stalin and a small group of his government officials, caused devastating starvation and the deaths of millions of people. Conquest (1987) estimated 14.5 million--more than the total number of deaths for all countries in World War I died in the Ukrainian Holodomor. Holodomor had gruesome impacts on the Soviet society. The serial murderer Andre Chikatilo (alias the Red Ripper / Citizen X) who killed 53 women and children over the period of 15 years later confessed to Dr. Alexander Bukhanovsky - Psychiatrist of the Rostov Medical University that he was a psychological victim of the Holodomor. According to the statement given by Andre Chikatilo during the famine the villagers had cannibalized his seven year old younger brother Stephan. For millions of Soviet citizens, a Gulag sentence represented a one-way journey to oblivion. Yet millions more went there and came back. This revolving door of Stalin’s Gulag presents historians with a number of challenges. First, it complicates the task of determining exactly how many Soviet citizens experienced Stalin’s Gulag. Any single annual figure on the number of prisoners provides only a snapshot and fails to capture the presence of a revolving door (Alexopoulos, 2006). Gulags were aimed at the physical destruction of enemies of the Bolshevik state and system (Supady, 2000). One of the main goals of the Soviet leadership was to destroy personal ties among private citizens and create an atmosphere of distrust and fear. Ordinary citizens were bombarded by propaganda which provided a constant reminder that they were surrounded by enemies and that vigilance was needed by all. People were encouraged to denounce enemies whenever they felt there was a threat (Hosford et al., 2007). According to Applebaum (2004) nearly 30 million prisoners passed through the Soviet Union's labor camps in their more than 60 years of operation. In his famous book “the Gulag Archipelago” Aleksandr Solzhenitsyn writes…. Tchernavin (1935) disclosed the horrifying nature of the Soviet Gulag system in following manner. ……Picture a group of about forty prisoners, men and women, all worn out, hungry, eaten by lice, suffering from swollen legs from long standing—people who have not slept for many nights. Single file we were led into a big room with three or four desks, and at each desk was an examining officer. Then comes another room and more examining officers, a corridor, stairs and more rooms with more examining officers. At the command “at a run” we had to run from one desk to another. And as we approached each desk the examining officer would start shouting at us in the vilest language imaginable …This sort of torture lasts from ten to twelve hours. Examining officers go away and rest; they get tired sitting and shouting obscenities and so are relieved by others, but the prisoners have to keep on running. Dougherty (2001) interviewed Seven Russians who survived Stalin's purges. They did exhibit symptoms sufficient to qualify as partial PTSD and those exposed to human remains suffer more symptoms of PTSD. The Nazi Germany invaded the Soviet Union on the 22nd of June 1941. Over the course of the operation, about four million soldiers of the Axis powers invaded the USSR (Glantz, 2003). Hitler ordered his generals to destroy the Red Army and secure most of the Soviet territory in Europe. German forces swept into the Baltic region, Belorussia, the Ukraine, which now incorporated eastern Poland, and Russia itself. Stalin and his armies were taken by surprise. Hundreds of thousands of Soviet troops fell into encirclement. By the end of September, having advanced more than a thousand kilometers on a front more than a thousand kilometers wide, the Germans had captured Kiev, put a stranglehold on Leningrad and were approaching Moscow (Barber & Harrison, 2005). The Operation Barbarossa (the code name for Germany's invasion of the Soviet Union during World War II) was a gigantic military operation that consumed millions of lives creating massive waves of psycho trauma among the people. The German troops committed vast numbers of atrocities against the Soviet people that echoed for generations. Nazis killed soviet citizens in public. They destroyed villages and raped women in front of their parents or husbands. The Operation Barbarossa was a massive death warrant to the Jews lived in the Soviet Union. The German Army took extra measures to round up and deport or murder Soviet Jews in the occupied territories. One SS Lieutenant-Colonel Karl Kretschmer wrote home in September 1942: “Here in Russia, wherever the German soldier is, no Jew remains. Mass murders of Jewish people took place in Russia, Ukraine and in Belorussia. Sometimes Soviet anti Semite elements openly supported the NAZIs to conduct these slaughters. A large portion of these victims were innocent civilians who never had any connections with the military or Partisans. In 1993 a study by the Russian Academy of Sciences estimated total Soviet population losses due the war at 26.6 million ( Ellman & Maksudov,1994). According to Krivosheev (1997) 8.7 million Soviet combatants died in the War. The Germans captured 5.7 million POWs and murdered nearly 3 million (Rummel, 1992).The conditions of the Soviet POWS were increasingly despondent. The German troops held Soviet POWS under ruthless conditions in concentration camps like Mauthausen-Gusen seriously violating the Geneva Convention. Krivosheev (1997) reports that only 1,836,000 POWs were able to return to the USSR. Unquestionably these men experienced the horrors of war and remained as psychological casualties. Even after coming home the former POWs had to face Stalin’s repression. They were labeled as Traitors and never had a recoverable environment. Most of them may have suffered PTSD. The Soviet civilians were greatly affected by the War. Civilians living in the major cities such as Moscow, Leningrad (now St Petersburg), Stalingrad (now Volgograd), Kiev, Odessa, Minsk experienced war trauma firsthand. Although the Soviet people fought and defended the Nazi invasion heroically subsequent psychological consequences were not addressed by the authorities. The Soviet Academia of Sciences never took an active effort to study the psychological trauma experienced by the Soviet people during and after the WW2. The Soviet war in Afghanistan lasted nearly nine years from December 1979 to February 1989 and more than one million Afghans and 13 thousand Soviet troops have been killed in the conflict. As far as psychiatry was concerned, it was intended to conduct studies on soldiers sent to Afghanistan, but their results were kept secret. Their recent publication shows that at that time psychiatry was then more anxious to develop tools for predicting the occurrence of psychiatric disorders among combatants than to treat them. Psychiatry stood on the authorities’ side by becoming an instrument of repression: dissidents were sent to psychiatric hospitals. Thus prevention was transformed into social control. Under Brezhnev, the myth of endurance was undermined by the return of the veterans of Afghanistan physically and psychologically destroyed. This war produced a form of psychological trauma which by its similarity with the symptoms of the Vietnam War took on the name of post-traumatic stress syndrome. (Kozlowski, 2013). The Chernobyl nuclear power plant explosion in April 1986 was one of the worst ecological disasters of the 20th century. Yet the mental health of the clean-up workers, who faced the greatest radiation exposure and threat to life, has not been systematically evaluated (Loganovsky et al., 2008). According to Bromet and Havenaar 2007) stress-related symptoms, the rates of depressive, anxiety (especially post-traumatic stress symptoms), and medically unexplained physical symptoms are two to four times higher in Chernobyl-exposed populations compared to controls. General population studies report increased rates of poor self-rated health as well as clinical and subclinical depression, anxiety, and post-traumatic stress disorder. Mothers of young children exposed to the disaster remain a high-risk group for these conditions, primarily due to lingering worries about the adverse health effects on their families (Bromet et al., 2011). Loganovsky and Zdanevich (2013) identified Radiation" PTSD that includes "flash-forward" phenomena and anticipating stress (projection of fear and danger to the future); somatoform disorders and neuro-cognitive deficits among the Chernobyl victims. Since the October Revolution in 1917 and the Soviet Union’s dissolution in 1991 USSR faced a number of internal and external socio- political calamities that generated immense stresses among its population. But little is known to the outside world about the psychological trauma experienced by the Soviet People. The accurate statistics of the psychological ailments such as PTSD that existed within the Soviet Society are still not known. PTSD is predominantly a Western culture-bound disorder. The Western culture regards PTSD as an individual disorder with unique symptoms. Some experts consider in collective societies such as in the former Soviet Union strong cultural and social buffers created against ailments like PTSD. However the Soviet people encountered multiple traumatic events that created a collective trauma among its population. These traumatic symptoms were not identical to those seen in the Western World. 2) Professor Roger Brook - Duquesne University. Alexopoulos, G (2006). AMNESTY 1945: The Revolving Door of Stalin’s Gulag University of South Florida. Applebaum, A. (2004). Gulag: A History. Anchor. Bourke, J. (2000). Effeminacy, Ethnicity and the End of Trauma: The Sufferings of ‘Shell-shocked’ Men in Great Britain and Ireland, 1914–39. 35 (1), 57-69. doi:10.1177/002200940003500106 . Bromet, E.J., Havenaar, J.M. (2007).Psychological and perceived health effects of the Chernobyl disaster: a 20-year review.Health Phys.93(5):516-21. Bromet ,E.J., Havenaar, J.M., Guey, .LT.(2011). A 25 year retrospective review of the psychological consequences of the Chernobyl accident. Clin Oncol (R Coll Radiol). 23(4):297-305. doi: 10.1016/j.clon.2011.01.501. Brustein, W.I. (2003). Roots of Hate: Anti-Semitism in Europe Before the Holocaust. Cambridge: Cambridge University Press. Conquest, R.(1987). The Harvest of Sorrow: Soviet Collectivization and the Terror-Famine Oxford University Press. Conquest, R. (1991). Stalin: Breaker of nations. New York: Viking. Dougherty, M.J.(2001). STALIN'S GULAG PRISONERS AND PREVALENCE OF POST-TRAUMATIC STRESS DISORDER .Journal of Loss and Trauma, Volume 6, Number 1, 1 pp. 1-19(19). Ellman, M., Maksudov, S. (1994) Soviet Deaths in the Great Patriotic War:a note-World War II- Europe Asia Studies. Figes , O . (1998). A People's Tragedy: The Russian Revolution: 1891-1924. Penguin. Foster, W.Z. (1924).Russia in 1924. Pamphlet issued by the Trade Union Educational League, 1924. TUEL Labor Herald Library pamphlet, No. 11. Fromm, E. (1973). The anatomy of human destructiveness. New York: Holt, Rinehart and Winston. Glantz, D. (2003). The Soviet‐German War 1941–45: Myths and Realities: A Survey Essay. Healey, H. (2014). Russian and Soviet forensic psychiatry: Troubled and troubling. International Journal of Law and Psychiatry Volume 37, Pages 71–81. Hinton, D.E., Lewis-Fernández ,R.(2011). The cross-cultural validity of posttraumatic stress disorder: implications for DSM-5.Depress Anxiety. 783-801. doi: 10.1002/da.20753. Hosford, D., Kachurin,P., Lamont,T. ( 2007) GULAG: Soviet Prison Camps and Their Legacy. A Project of the National Park Service and the National Resource Center for Russian, East European and Central Asian Studies, Harvard University. Retrieved fromhttp://gulaghistory.org/nps/downloads/gulag-curriculum.pdf. Hough, J. F (1997). Democratization and revolution in the USSR, 1985-1991. Brookings Institution Press. ISBN 0-8157-3749-1. Hughes, L (2000). Russia in the Age of Peter the Great. Yale University Press. Jayatunge, R.M (2014) Shell Shock to Palali Syndrome. Sarasavi Publishers Colombo. Jones, E, Vermaas, R, McCartney, H, Beech, C, Palmer, I, Hyams, K & Wessely, S 2003, 'Flashbacks and post-traumatic stress disorder: the genesis of a 20th-century diagnosis.' British Journal of Psychiatry, vol 182, no. FEB., pp. 158 - 163. Karpovich, M (1930). The Russian Revolution of 1917. The Journal of Modern History, Vol. 2, No. 2. . pp. 258-280. Koestler , A. ( 2001 ) The God That Failed. Columbia University Press. Kozlowski, E.S.(2013). The Post-Soviet Russian State facing War Veterans’ Psychological Suffering. Issue War Trauma in Post-Soviet Russia & Military Reform in Russia and the CIS. Krivosheev, G.I.(1997). Soviet Casualties and Combat Losses. Greenhill . ISBN 978-1-85367-280-4 Page 79. Lazarski, C. (1992). White Propaganda Efforts in the South during the Russian Civil War The Slavonic and East European Review, Vol. 70, No. 4 . pp. 688-707. Lerner V, Margolin J, Witztum E: Vladimir Bekhterev: his life, his work and the mystery of his death. History of Psychiatry 2005; 16:217–227. Loganovsky K, Havenaar JM, Tintle NL, Guey LT, Kotov R, Bromet EJ.(2008). The mental health of clean-up workers 18 years after the Chernobyl accident.Psychol Med. 38(4):481-8. Loganovsky, K.N., Zdanevich, N.A.(2013). Cerebral basis of posttraumatic stress disorder following the Chernobyldisaster. CNS Spectr.18(2):95-102. doi: 10.1017/S109285291200096X. Maccoby, M. (2000, January-February). The narcissistic leaders. The incredible pros, and the inevitable cons. Harvard Business Review, 78,68-77. O'Neil, J.M. (1993). A counseling psychologist in Russia as a Fulbright scholar: James in wonderland. The Counseling Psychologist, 21, 642-651. Orlov, A. (1954). The secret history of Stalin's crimes. London: Jarrolds. Owen, D., Davidson, J.(2009). Hubris syndrome – an acquired personality disorder? A study of US Presidents and UK Prime ministers over the last 100 years. Brain . 132: 1396–1406. Roseberry, W. (1997). Marx and Anthropology Annual Review of Anthropology, Vol. 26: pp. 25–46. doi:10.1146/annurev.anthro.26.1.25. Rummel, R.J. (1992). Democide Nazi Genocide and Mass Murder. Transaction . ISBN 1-56000-004-X. Salisbury, Harrison E. (1981). Black Night White Snow. Da Capo Press. p. 117. ISBN 0-306-80154-X. Serbyn, R. (1988). The Ukrainian Weekly. No. 45, Vol. LVI. Sheehan, H. (2002). Introduction to Philosophical Arabesques by Nikolai Ivanovich Bukharin New York University Press. Shenkman, Y . ( 2013). The tsar files: Who killed the Romanovs Source: Russia Beyond the Headlines. Retrieved from http://rbth.com/society/2013/07/16/the_tsar_files_who_killed_the_romanovs_28121.html. Stark , R .(2010).Holodomor, Famine in Ukraine 1932-1933: A Crime against Humanity or Genocide? Irish Journal of Applied Social Studies ISSN 1393-7022 Vol. 10(1). Supady J. (2000).Medicine in Soviet gulags.Arch Hist Filoz Med.63(3-4):215-9. Tucker, R. C. (1973). Stalin as revolutionary, 1879-1929: A study in history and personality. New York: Norton. Tucker, R. C. (1990). Stalin in power: The revolution from above, 1928-1941. New York: Norton. Värnik ,A., Wasserman, D.(1992). Suicides in the former Soviet republics. Acta Psychiatr Scand. 86(1):76-8. Wasserman, D.,Värnik, A. (2007). Reliability of statistics on violent death and suicide in the former USSR, 1970–1990. DOI: 10.1111/j.1600-0447.1998.tb10763. Weinberg,R(1992). "The Pogrom of 1905 in Odessa: A Case Study" in Pogroms: Anti-Jewish Violence in Modern Russian History. Cambridge. : 248-89. Young, A. (1997). The Harmony Of Illusions: Inventing Post Traumatic Stress Disorder. Princeton, NJ: Princeton University Press. Actually there's a good reason the Bolshevik troops didn't have diagnosed PTSD problems. Most of them were simply killed, either by NKVD men stationed behind the front lines with machine guns, or otherwise being shot for cowardice or malingering, or being put into a penal battalion and thrown in human waves against the Wehrmacht, or in any of hundreds of different ways. It's similar to why so very few Nazi concentration camp survivors had debilitating symptoms of PTSD afterwards. If you developed such problems, you often didn't live long enough to be a survivor. My grandmother kept a packed suitcase in our hallway in case of arrest. My grandfather was told by a colleague that he could not help him get a job because he was targeted for arrest. My father witnessed his fathers arrest and became the son of an "Enemy of the People". Everyone knew not to trust people they did not know very well. These were realities of soviet life.